"The book was the first of its kind ever to be written. It appeared at a time when the simple rules of health were only beginning to be known, when its topics were of vital importance not only for the well-being and recovery of patients, when hospitals were riddled with infection, when nurses were still mainly regarded as ignorant, uneducated persons. The book has, inevitably, its place in the history of nursing, for it was written by the founder of modern nursing"
Much of what she wrote was learning through her travel assisting hospitals. In 1854, her work brought her and thirty-eight other nurses to the British camp in Crimea, an area with a staggeringly high death toll. Upon her arrival, the reason was clear to Nightingale. Much of the work seen as “beneath” doctors, including cleaning, hygiene, and maintenance, were completely ignored. Enlisting the help of the hospital’s least injured men and hundreds of scrub brushes, she and her nurses cleaned up the area. Men who had been stuck in unclean beds in their own feces were cleaned and given laundered sheets. Doctors and military officers protested the women wandering their hospital and ordering men to clean up after themselves—including the high maintenance request to wash their hands—not only because they were women, but also because they believed it unnecessary. “People say that soldiers are malingerers & carry a wounded man to the rear to get out of the battle. My experience of soldiers is that they will go back into the fight to find a prostrate comrade or their wounded Officer - & fight their way again bringing him with them - or as often happened leaving their own lives behind. The men considered her a mother figure, and they her sons. They remembered her fondly, some even praising her later in life. Though her time in Crimea is remembered most for her interactions with the soldiers, Nightingale focused much of her labour on statistics. She was a smart woman, and she knew she couldn’t do this on her own. She spent quite a bit of her time interacting with the press in order to bring attention to the plight of soldiers, using her connections to uplift her cause. Sharing the statistics she had gathered, she showed the horrifying mortality rate and revealed that, along with injuries from the war, many soldiers died from the unhygienic conditions of the camps. Her work revolutionized the idea tyrant social phenomena could be mathematically measured and analyzed. She was a pioneer in the collection, tabulation, interpretation, and graphical display of descriptive statistics. She would go on to become the first female member of the Royal Statistical Society in 1858. “Like everybody else I had been brought up on the sentimental legend which thinks of her as a ministering angel and a nurse, and of course she was never a nurse, except in a very limited sense. She had a brief period in Germany before the Crimean War doing basic nursing training, and when she got to the Crimean War she did hardly any nursing at all, and never did any nursing subsequently. So to think of her as a nurse is such a ridiculous thing. What she was is a great nursing theoretician." This does indeed seem to be the case. After the war, she returned home to teach and work with politicians. Informed by her time in Crimea, she focused her energy on the poor, believing that they deserved hospitals kept to the same standards as the ones meant for the wealthy. She wrote about the dignity that should be afforded to all sick people, pioneering methods we now view as common sense including making sure patients can see those talking to them. She may have become more compassionate after becoming sick herself while in Crimea. She spent the rest of her life with chronic pain and what we now know as Chronic Fatigue Syndrome, often working from bed. It is entirely reasonable to suggest that Nightingale may have been a lesbian; her writing was common of the time, and as such include few concrete examples of any relationships. Whether she was a lesbian or not, she was very likely asexual. There are many records of her feeling disconnected from sexual attraction, and no evidence of her engaging in or even pursuing a sexual relationship. No matter the combination of identities she may have held, it is easy to see she was queer. Looking at her life, it’s hard to fit her into any label. Calling her a feminist icon seems inappropriate when she discouraged women from giving speeches, but calling her an anti-feminist after the women she did to gift against sexist barriers is also incorrect. The idea that she was a docile, motherly figure doesn’t fit with the moments when she fought for equality and basic human decency. Even calling her a nurse falls flat when you notice that she spent the majority of her career not as a nurse. The one common thread in her life was her desire to remain behind the scenes; she wanted to be exceptional without the pedestal. Her shyness seems almost antithetical to the wide reach of her legacy. Clearing away all of the contradictions in her life, above all else, Nightingale was interested in doing her work and doing it well. It’s something easy to admire. Calabria, M. (1997). 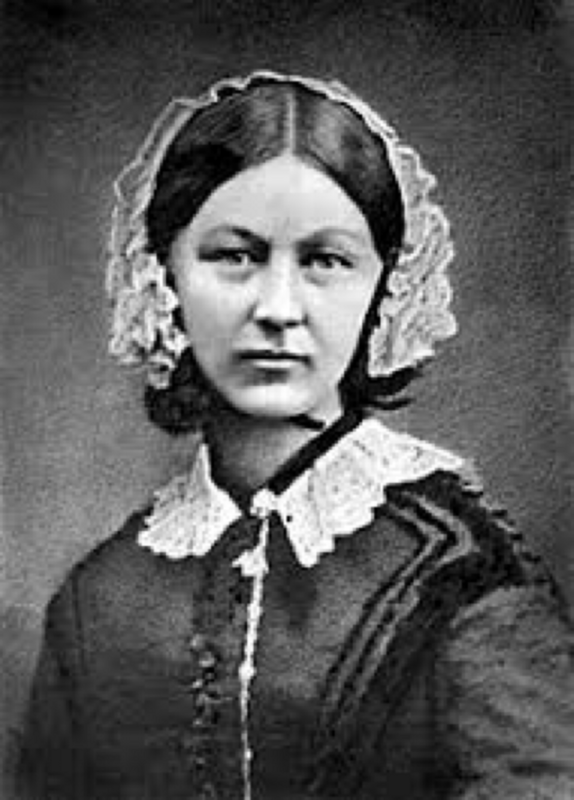 Florence Nightingale in Egypt and Greece: Her Diary and "Visions." Albany, NY: SUNY Press.